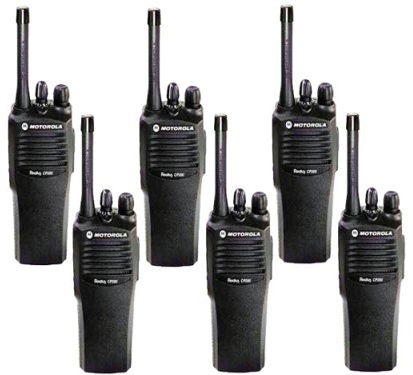 walki talkie is one of the best equipment available for two-way communication. It is aimed to provide basic communication over short-range distances. It provides clear and crisp talking experience even in the noisy environments like stadiums, movie sets, meetings etc.comes with Lithium ion battery and as per the Motorola’s specification, it can give 11 hours of talk time. During the practical usage, the results are extreme closer and for those who need to talk a bit longer during their work like construction engineers, movie set managers, event organizers; this thing extremely helpful. Similar to its outer look; it is muscular, durable and long lasting. It gives high quality performance in the critical/noisy environments also. This is extremely easy to use and it allows two-way communication. If you have Motorola compatible software (which is generally given to buyers by Motorola) you can program this device. Very light weight and easy to carry. Because of its gripping design, it will not slip from your hand easily. It suits for rough usage also.